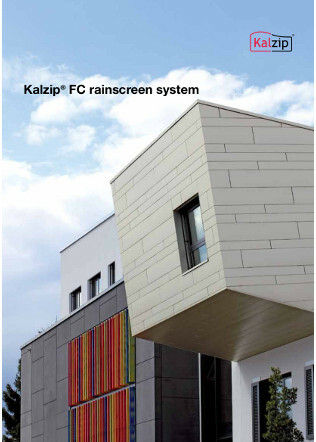 A host of international projects depicting the Kalzip FC rainscreen system are featured in an impressive new 20 page colour brochure which is also available to download. Openly available to all building and cladding contractors, the Kalzip FC rainscreen system is ideal for new build and refurbishment projects. Kalzip’s ingenious quick-fit FC rainscreen system is economical and easy to install on vertically or horizontally fixed modular click rails - each lightweight panel is simply hooked at the top (or on one side) and then ‘clicked’ into place at the bottom (other side). Suitable for installation onto all common substructures from existing masonry to lightweight steel framing, the rear-ventilated, metal plank FC rainscreen system can also be used for internal applications. I agree to let Kalzip Ltd contact me from time to time in regards to the Kalzip FC rainscreen system brochure and related products.